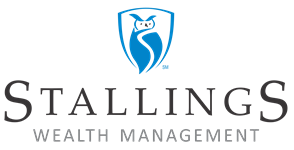 Stallings Wealth Management is an independent financial services firm dedicated to assisting clients with their greatest financial concerns. With more than ten years of experience, we offer comprehensive investment management and financial strategies coupled with unbiased advice and recommendations. Our utmost goal is to provide customized strategies that can grow with clients throughout the many milestones of life. While we work with a broad range of clients, we specialize in working with educators, including both K-12 and higher education. We also work with medical professionals who are seeking financial education and strategies to pursue their goals. Based in Muncie, Indiana, we serve clients in the East Central Indiana area, and we are licensed in Florida, California, New York and many others. Contact us today to learn more about our comprehensive services or to set up the first meeting.